A recent post on the Club Solutions Magazine’s website reminded me of how proactive you have to be as a business owner; in the gym management business you live and die by your ability to lead. As an independent gym business owner, you’ve probably found the key to your success is working with people to achieve a common objective. The goal of your business is to inspire and assist in the growth and improvement in the physical health of all of the people around you. It’s the ultimate secret to success in fitness; you have to help others make the kind of living wage you wish for yourself and exemplify the fitness they hope to achieve. This constant need to interact with people requires that you develop some leadership skills, and you’ve probably already done that. 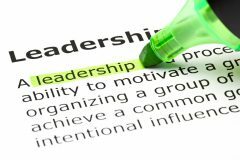 But it never hurts to review and extend the discussion about what it is that customers (and team members) need from a leader. If you took the initiative to buy, bootstrap, or otherwise build a fitness business from the ground up, then you’re a leader by definition. You need to remember that fact and internalize it so that your every action is congruent to that of a fitness expert, a leader, entrepreneur, and business owner. Modern culture seems to assume that everyone understands what the rules are and what’s on the collective agenda, but that’s not the reality. If you want the people around you to figure out what’s on the program, you have to tell them. Giving instructions as a leader is not like a personal conversation; you must clearly state the unspoken in casual chat if you want to be understood every time. You cannot assume that your followers know what you have in mind, your mental model. Stating the obvious is a part of leadership; it’s also a fundamental tool to support continuous training because as you frame the story of the business as a narrative, you communicate a shared mental model; the person who creates the shared mental model leads the group. Do you practice what you preach? Do you keep fit, use your access to gym facilities, and eat healthily. If you own the business you probably spend hundred-hour weeks running it, fighting fires, and solving peoples’ problems; all of that will burn you out quickly! Don’t let burnout destroy your fitness because you’ll want to hide away in the back office and avoid everyone if you feel like you can’t project the fitness image they expect. Those gym owners who look and act like fitness is the central part of their lives get further, recruit better staff, and inspire more memberships than those who don’t. Leadership through service is not a new concept. However, like all of the tried and tested principles, it still works well for people-oriented business. Gyms attract many kinds of people; the ones that stick around will reflect much of the work and values that you have put into your enterprise. Trainers and gym staff don’t work for you because they expect to get rich; the most common reasons they work in fitness are because they love the environment, the people, and all of the things associated with the lifestyle. They want to help people. The best way to manage and lead such motivated workers is to train them as well as you can and get out of the way, stand back and help when they ask for it. When your staff is on duty, they may need your advice, or your permission for something, or they just may need you to expedite on a busy day by taking care of things around the gym. Given a chance, gym staff members get satisfaction from doing their jobs, and they appreciate knowing that you’re behind them taking care of the distractions; that is the essence of servant leadership. It doesn’t matter whether you’re talking to employees or your customers; empathic listening is the most important skill in communication. It is your ability to communicate that makes you a leader; you give instructions, build a narrative, resolve issues and move your business ahead to lead your team and your customers to fitness and fulfillment. Your service as a leader is what makes your business a place where people want to work and workout. Fagan, Lawrence. Know Your Role And Play It. May 8, 2014. https://blog.gyminsight.com/2650-know-your-role-and-play-it/ (accessed August 10, 2016). Hastay, Noah. Operations: Your Leadership Tackle Box. July 13, 2016. http://clubsolutionsmagazine.com/2016/07/operations-your-leadership-tackle-box/ (accessed August 10, 2016). Robert K. Greenleaf Center For Servant Leadership. Start Here. https://www.greenleaf.org/what-is-servant-leadership/ (accessed August 10, 2016). Senge, Peter. The Fifth Discipline: The Art & Practice of The Learning Organization. Revised Edition. Crown Business, 2006.